For the last few years a tragic story involving Stan Lee and the demise of his fortune has been sprinkling into the news one depressing story after the next. It reminds me again of why it’s so important to have a trusted financial advisor in dealing with your estate. Most people think of long term growth but quick and brutal theft is also possible when working with people of diminishing mental capacity. 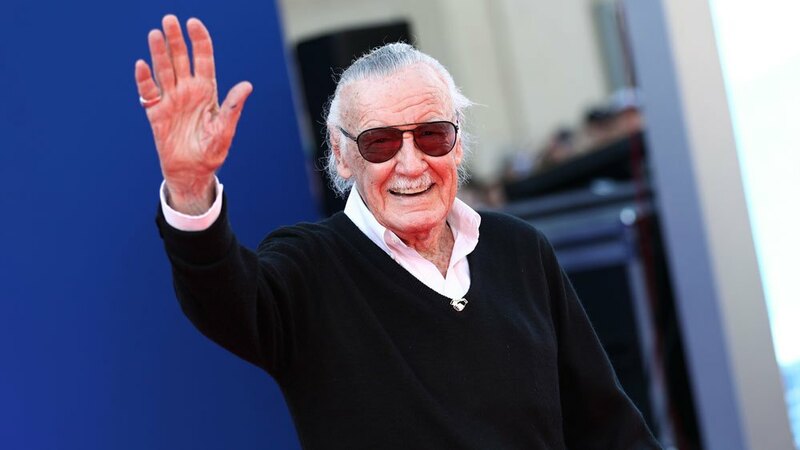 Mr. Lee either created or helped create many of the fictional super hero characters for Marvel Comics in the era before they were enormous money-making movie machines. He was paid a regular salary and didn’t earn much despite his superlative creative efforts. Later, when the movies came out he did receive his just due. As is often the case when there is a large amount of money involved, nefarious villains slither into the picture. Not men and women like Doctor Octopus, the Green Goblin, and Black Cat; but everyday people who promise to help but instead plan to steal all the money quietly and without the need for super-powers. They just lie and gain your trust, those are abilities well within the capabilities of the average person who has no conscience. In the United States it’s not particularly easy to get someone declared incompetent so as to protect them from themselves. I discussed this idea in other blogs but the gist of it is that people did so as a way to steal money from others. In fact, many times the person coming to steal your money isn’t some stranger but a relative. This is where it’s absolutely vital to make sure you engage a reputable financial company to handle your finances, even if you have a relatively small amount like a few hundred thousand dollars in savings. Yes, you will have to pay that company fees for their services. These services certainly include wise investing which should increase your holdings, but also protect it from those who see it as opportunity. It may seem paradoxical to trust strangers over friends and family when it comes to finances, but when those strangers handle money for a living they are less tempted to steal and more likely to protect. As we get older we often lose our mental acuity. This is clearly what happened to Mr. Lee and since the death of his wife, who apparently guarded the finances well, much of the money was stolen. Transferred from his estate to those of supposed friends and possibly family members intent on bilking him out of his earnings. It nearly brings me to tears to see Mr. Lee in such a condition. Paraded around and used by horrible people as they steal his money and whisper lies to a man of diminished mental capacity. Sickened is the word that comes to mind. It’s probably too late for Mr. Lee and his money, don’t let it happen to you or the ones you love. 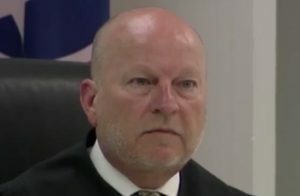 There’s an interesting situation going on in Tennessee where Judge Sam Benningfield is offering reduced sentences for criminals who partake of freely provided birth control. Vasectomy for men and Nexplanon for women. For men, this largely means permanent sterilization and for women the device lasts for about four years. Naturally, there is an uproar. I think Judge Benningfield has it partially right. I don’t think we should be offering free birth control to convicted criminals, we should be offering it to everyone! What would the world be like if no woman became pregnant with an unwanted child, if no father impregnated a woman when he didn’t want to have a child? The answer is quite clear; much, much better. I think the benefits of such procedures, performed free of charge for the asking, cut through political divides on all sides. Hey, conservatives, that’s it; no more abortions. Or at least only in quite rare circumstances. Birth rates among illegal immigrants and generally the poorer segments of society drop dramatically. Hey, liberals, child abuse reduced dramatically, orphanages emptied, crime rates plummet, the poorest segment of society has a much better chance to improve their circumstances. When every child is a wanted child we eliminate any number of societal problems. The population of the world will stabilize at a quite sustainable level. I’m of the opinion we should temporarily sterilize everyone as soon as they reach puberty. Then, later, if anyone wants to have a baby, reverse the procedure at no cost. That’s probably too extreme for most of people out there but I think the changes it would bring to the world would be dramatic and wonderful. Another thing I find particularly interesting are those railing against Judge Benningfield and those supporting his decision. Those who find it distasteful are generally for freely available birth control. Those who think the judge is right are almost universally against free birth control. Judge Benningfield is offering free birth control to a segment of the population. The problem is largely the carrot offered, reduced jail time. Thus, people are presumably getting sterilized who actually want children. I argue most of the people lining up for the procedure have no desire for a child and the only thing that kept them from doing it themselves is the cost of the operation. What I’d really like people to examine is your own feelings on the ideas of freely available birth control and the situation in Tennessee. Why do you support one or the other? Why do you oppose the ideas? People who do horrible things to other people are evil. Connie Yates and Chris Gard are stealing a bunch of money from people and using it to allow a zombie baby to take up space and resources in a hospital that could be used to help someone else. That’s evil. They are parents and they love their child, Charlie, that I don’t deny, but they have let that love become twisted into something horrible. Something that borders on, and in my opinion, crosses into a realm we call evil. Those who support them are not just enabling this situation but contributing to it. Charlie was born with a terrible disease that left his brain destroyed. He is unable to breath or move. He is blind and deaf. Even if the cause of this tragic disease could be treated, and it can’t, his brain is dead. He is simply a lifeless zombie. I can only hope Charlie doesn’t have nerve activity and he is feeling no pain. Still, there is tremendous pain being intentionally inflicted by Yates and Gard playing to people’s heartstrings with the impossibility of the boy’s recovery. They are stealing money from people, not for themselves, but for doctors offering an experimental treatment that will do nothing to reverse the brain damage. One of the most fundamental issues of this situation is the reversal of normal morality. In many cases it would be immoral to allow a sick child to die. If the child had a disease which can be cured, it would be despicable to place that child in the woods and allow it to die. This was done throughout history but medical care has improved to the point where children who were doomed to horrific lives until a few hundred years ago, can now live full and fulfilling lives. Thus, when we hear about a sick child whose parents are trying to get medical care, we are predisposed to think of them as heroes and those who are opposed as villains. In this case it is the reverse. Keeping Charlie alive is the immoral act. The professionals at Great Ormond Street Hospital are the ethical and kind players in this story. The judges who have made their rulings are moral. What I’m saying is brutal. It’s not nice. I’m not a nice guy. Ask anyone who knows me and they’ll be happy to confirm I’m often times quite a jerk, quite forceful, when it comes to putting forward arguments. Be that as it may, what I’m saying is true. Keeping Charlie alive is the immoral act. That’s the bottom line. The parents are engaged in behavior that I can only describe as evil. There are a number of people in Social Media and other places who supported and continue to support this behavior. They encouraged the parents to take money from many people for the pursuance of an immoral act. 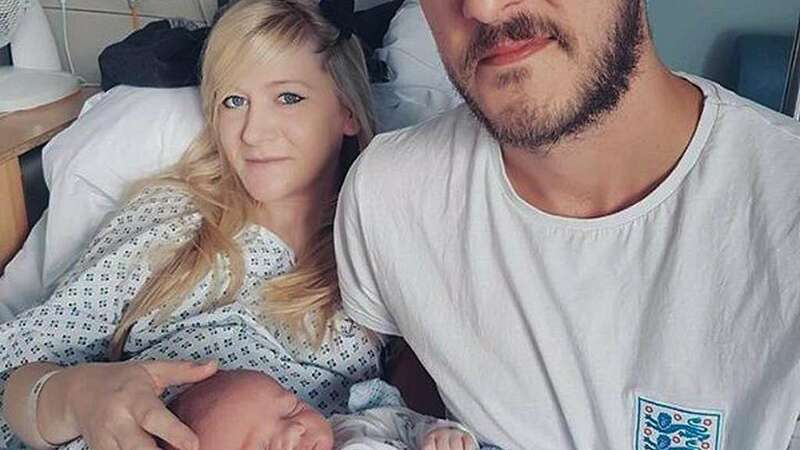 They encouraged the people to keep poor Charlie on life-support for the last ten months when they could have ended this entire ordeal, and saved a huge amount of pain and suffering. Those who support Yates and Gard are contributing to the evil. If that’s you, I won’t apologize. Get your act together. There’s an interesting little post making the rounds on Facebook about a mother who doesn’t believe in vaccination and whose one month old baby died from a disease popularly known as Whooping Cough but technically called Pertussis. As you would imagine, people are up in arms. I did some research on the internet and I couldn’t find this particular case but there are a number of incidents of parents with multiple children whose entire families contracted the disease, and some whose babies died. So, it’s close enough to reality to at least discuss the general issue. What I find interesting is the child in question is reportedly one month old. That’s too young to receive a vaccination in any case. The child contracted the disease from some other source and then died. That’s a pretty typical pattern for this disease. 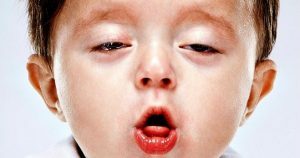 In the past, older children and adults contracted Whooping Cough on a fairly regular basis, but it is largely only infants who died from the disease. It can also lead to complications that end up being lethal. Another interesting factor is that childhood immunization does not last forever. It’s important for adults to get booster shots. In addition, children who delay the vaccine are less likely to be immune. The statistics are undeniable. Prior to the vaccine becoming available in the 1940s over 175,000 people contracted the disease in the United States each year, the vast majority of them children. This is likely a large underreporting of the disease because adults and older children usually do not require hospitalization or medical care and thus their cases went uncounted. Reported cases of the disease reached a low in 1976 with about only 1,000 being noted. That has gone up, particularly since 2004 when large numbers of people began to skip vaccinations for their children. In 2015 reported cases topped 20,000. In countries that don’t use vaccinations, rates of Whooping Cough and deaths from the disease are still prevalent. Pertussis is the best example of why getting vaccinations is important. Those most likely to get the disease and die from it cannot get vaccinations. Just like the supposed case being reported on Facebook. The way these infants get Whooping Cough is through someone else who has the disease but is unaware of it. The disease is highly-communicable. That’s a fancy way of saying it’s airborne. Anyone who has it and breathes can pass it along to nearby healthy people. I’m not going to get into a long debate about why I think vaccinations are important. Nor am I going to tell you that you should get your booster and make sure your children are properly treated. I think people are too well entrenched into their positions to be changed by a simple article. I will tell you a personal story. A couple of years ago at my annual checkup my doctor noticed that it was time for my Whooping Cough booster. I’m in pretty good health and the disease presents no threat to me. I could easily catch Whooping Cough and be only mildly discomforted. As I sat in the doctor’s office and he stared at me expectantly a lot ran through my mind. Friends of mine with small children. Going to the baseball game and sitting near families with infants decked out in Cardinals’ gear. Walking through the park chasing Pokémon with children all around. The thought of how I’d feel if I was inadvertently responsible for the death of one of those children. “Bring on the needle”, I said. The people who want to see you achieve better health have long recommended antioxidants be a major part of your diet. There’s only one catch. The people who want to see you become healthier are largely not the same ones trying to sell you antioxidant stuffed supplements. Those who promote good health have long recommended you eat fruit, vegetables, and whole grains. These people don’t own fruit farms or sell the actual product they are recommending. They are largely doctors and others associated with a group called health professionals. They are recommending you eat things filled with lots of antioxidants. On the other hand, the people who want you to purchase supplements filled with antioxidants are the same people who are producing and selling that particular product. They have a vested interest in you purchasing their supplements because it enriches them. There is a big difference and it’s exactly what common sense predicts. Antioxidant supplements have a proven track record of not doing anything to help and actually causing harm. 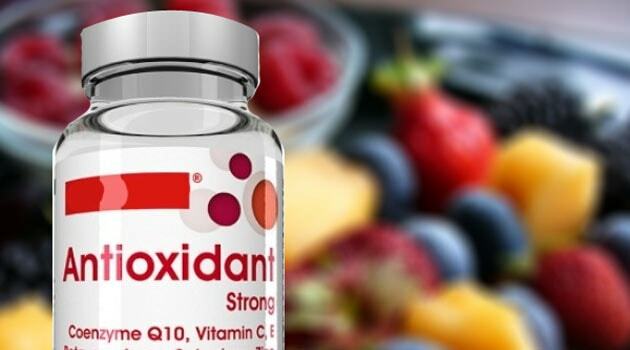 A number of studies of people who flooded their bodies with antioxidant supplements showed an increased mortality rate! Antioxidants from fruits, vegetables, and whole grains do your body all sorts of good. Eating such a diet combined with regular exercise will statistically increase the quality and length of your life. You are less likely to have heart disease, cancer, diabetes, and a host of other medical issues if you pursue such a diet. The problem is that most people don’t want to eat fruits, vegetables, and whole grains each and every day. They don’t want to spend time buying such healthy foods. They would prefer to make an unjustifiably expensive purchase for a particular supplement and simply take the pill once a day. It’s so much easier of a way to good health. The problem is that it doesn’t work. One of the most difficult things in life is sustaining consistent behavior. If you want to be healthy, you must eat properly most of the time. That’s not to say there is anything wrong with dessert or an unhealthy meal once a week, but the reality is good health requires good habits. While true, that is somewhat tangential to the point I’m trying to make today. Beware of people trying to sell you things. If someone tells you a particular product is going to make your life better, take a moment to find out about the person doing the talking. If they don’t have anything to do what is being sold it’s more likely you’re getting good advice. The converse is true as well. It’s not really rocket science. I think most people are aware of this instinctively. It seems as if there is no need to tell people to be aware of the problem and yet the supplement industry rolls on to the tune of billions of dollars. People purchase antioxidant supplements and convince themselves they are doing what is healthy when, to some degree, they must be aware they are not. In the end, it’s your decision. Fruits, vegetables, and whole grains or supplements. Now, pass me a Fuji Apple, I’m hungry! There are a number of people in the United States who don’t believe in seeking medical attention because they think such efforts should be left to a divine being. These Faith Healers die quite frequently and so do their children. That’s where we run into a difficult situation involving the Constitution of the United States and the obligation of government to protect children. If a legally capable adult foregoes medical treatment, there is nothing to be done about it. Faith Healers base their actions on religious beliefs. In the United States the government is not allowed to interfere in such cases. However, children are not legally capable of making their own decisions. If a parent is physically, mentally, or emotionally harming a child; they are generally breaking laws. In many states, it is possible to intervene in a situation where a child’s life is being endangered by withholding medication, but not in Idaho, where I went to college. Many of the people in western states, including Idaho, strongly believe in individual liberty. I wrote a blog not long ago about how one of the most important lessons I learned while at the University of Idaho was avoiding interfering in another person’s business. It’s not right to tell them how to live. Thus, is not surprising Faith Healers have legal protection in the state. Any metric based study of modern medicine indicates, without a doubt, medical intervention saves many lives. Many of the children and adults who die in the families of Faith Healers would still be alive today if they were treated. Where does Idaho have an obligation to step in? Where should we mind our own business? Is it proper to stand by and watch a child die when they most likely could be saved with medical intervention? Is it proper to allow families to treat their children as they see fit? Much as it pains me to say, I think the state should stay out of these situations. The children have no say into what family they are born into and their fate is avoidable and terrible. The onus for their death falls not on the state, not on me, but on their guardians who chose not to seek medical care. Horrible as it is. One would hope that children who survive in such a family, who witness their siblings’ avoidable death, would choose to leave such a religion. That eventually no one would believe in Faith Healing and no children would die unnecessary deaths. Sadly, their death is the price of liberty, of freedom. It’s a terrible and painful price. An awful price for children who had no say in the matter. I do not deny this. It’s not always easy to believe in individual liberty when the people practicing it are incredibly stupid. When this stupidity results in the death of their children. 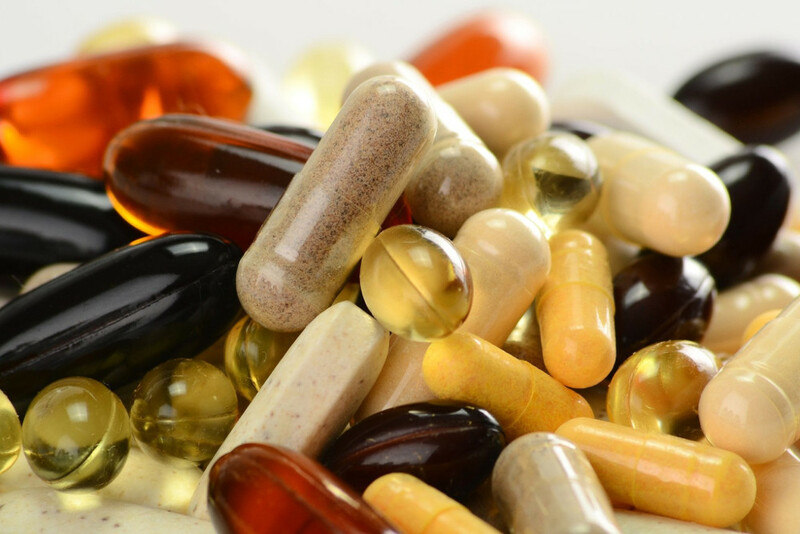 The Annals of Internal Medicine recently posted an editorial pretty much blasting the use of multivitamins and supplements. I originally came across the study in an article from Business Insider and the comment section was pretty universal in condemnation of the story. I’ve long felt that supplements and vitamins were a waste of money and almost universally placebos but the recent studies and this article seems to affirm my opinions. Wikipedia also confirms this idea. It is important to note that the studies do not address what are called micronutrient deficiencies. Those who suffer from such deficiencies benefit greatly from vitamins and supplements. The editorial specifically excludes them from the study and is talking only about otherwise healthy people who spend considerable money on vitamins and supplements. And I do mean considerable. The vitamin and supplement industry generates over $28 billion in sales annually and that amount continues to rise each year. I think it’s important to understand that the vast majority of people spending money on multivitamins and supplements are simply spending money on a product that does them no good whatsoever and, in some cases, actually causes harm. In addition, many of these supplements and vitamins are produced in foreign countries with China making up the lion’s share. As you may or may not know, I’m a Libertarian. If people choose to purchase vitamins and supplements that’s their business. I’m merely suggesting that you stop. Spend your money elsewhere. Perhaps a food service that brings you healthy meals each day. I’m a big believer in capitalism as a driving force of making the world a better place. It is to the benefit of all of us to have a healthier population. More work is done, less healthcare is necessary, etc. If people transfer part of the expenditures from something that is not helping their health to something that is helping their health, I benefit. We all benefit. I know quite a few people who take vitamins and supplements and I suspect I’m going to take some heat for my stance on this issue. That’s all right. I’m tough. Take a look at the studies and decide for yourself. 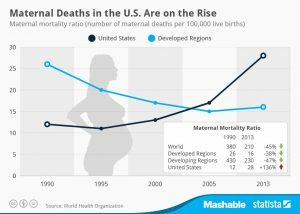 I’m not sure if I’d call it a misleading headline so much as a clickbait sensational headline but Vox splashes the following headline: More and more women are now dying in childbirth, but only in America. The story, written by Sarah Frostenson, is quite informative and interesting. The headline leaves it up to the imagination of the viewer as to what is causing more women in the United States to die during birth and the mind, left to its own devises, can come up with some interesting scenarios. Personally I was thinking that the rise in infections or perhaps more home births was the culprit. But no. The culprit is that more and more women who are giving birth are dangerously obese. Deaths from the complications of anesthesia have virtually vanished, deaths from infections are about the same, deaths from hemorrhaging and blood pressure spikes have dropped. People who are morbidly obese put tremendous strain on their hearts and also have diabetes at a very high rate. Add in the stress of giving birth and there you have it. 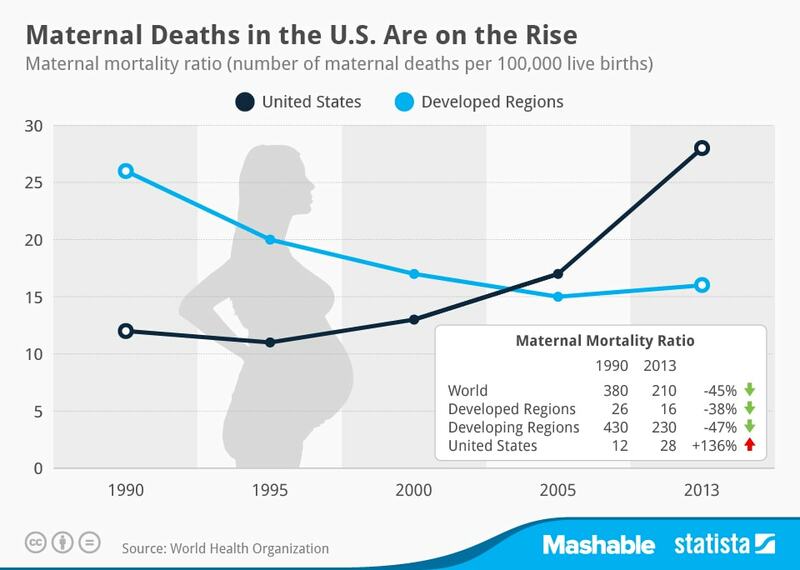 That’s why maternal deaths are rising in the United States but not in other countries. Excellent reporting, well-written, and thoroughly researched article. Yay! I use Facebook although I don’t have a huge number of friends. I do peruse the links of those friends as I look for fodder for my blog. One of my friends shared the image at the top of this blog. It purportedly shows an exchange between father and child. 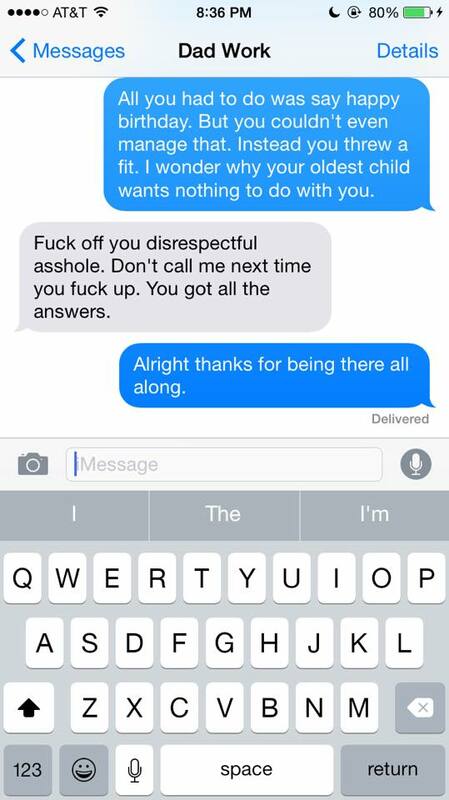 It might be completely false but it most certainly does illustrate that sometimes parents aren’t very nice. What struck me about the image was that it spoke rather directly to a topic that I attempt to analyze in my new novel, The Girl in Glass I – Apparition. In that novel the three main characters are teenage girls, Rhia, Mike, and Marianna, who have had very different parental experiences. A fourth character, Adusko also must deal with childhood baggage. It is not simply black and white, good and evil. There are nuances. One of the central themes of the book, and the trilogy as a whole, is the ability to grow outside of that very important parent/child relationship. Eventually the child must be their own entity. Mike is raised by loving parents in a privileged environment but is in full teenage rebellion. Rhia left her parents at a young age and has set out on her own. Marianna was initially raised by a loving father but his death left her in the hands of an uncaring mother and an abusive step-father. The three set out together to save Tanelorn. One of the ideas of the novels is they get to know one another and learn to escape the patterns set by childhood. Adusko is the product of an extremely violent childhood although his story is explored in more detail in later books. There is no doubt that we are all children and subject to the environment that our parents or guardians create. A child raised in one way certainly has both advantages and disadvantages in comparison to a child raised differently. There are certain environments that are more likely to create a happy and productive child and others which are more likely to create a monster. The main point is that despite the worst or best upbringing it is largely possible for a person to make their own lives. In the Girl in Glass trilogy, I spend time with each of the girls showing how they overcome that initial life direction and eventually find their own way. This lesson is important for everyone. We are none of us perfect. We all make mistakes. We all fall into patterns in life and too frequently they are those set into us at an early age. Those ingrained habits can be for good or ill but it is important to recognize them and eventually choose our own paths. In the case of the Facebook post the last entry is a sarcastic reference to the lack of parental support. Is that a good thing? A bad thing? It’s not easy to say. Certainly anger is often justified as is sarcasm but if it hurts us to engage in such, should we choose not to do so? If the need to hurt someone else overwhelms the desire to help ourselves, I argue it is a bad thing. In the end, if we spend our time trying to figure out ways to hurt those who have hurt us, we only perpetuate the lesson they taught us. Their lesson was that hurting others is a way to temporarily abate the self-loathing. What would be better is if we moved on. Easy to say …. I make no bones about it. The gym is my sanctuary. 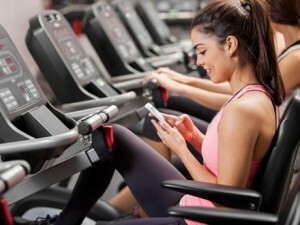 I love going to the gym. It’s great for me physically and it clears my mind from the day’s events. When I encounter rudeness at the gym I’m not one to tolerate it. Today I met the enemy and faced it down. Monday is a weight workout day and I hop on the treadmill for a five minute warm-up before lifting. Today I had companions to my right and left. The person to my left suddenly started singing loudly enough for me to hear it easily. It goes on for about thirty seconds and I lean over and politely express my desire that the singing stop. I get a dismissive wave, the singing stops for thirty seconds, but then begins again. I lean over and forcefully say that the singing is intruding on my space and it must stop. It stops but I am the recipient of an angry face. Tough. I have no doubt it started up again as soon as I headed off to the weight room and I feel for the poor person who took my spot. I feel for everyone who has to deal with such rudeness but don’t expect me to put up with it. I’m too old to allow that sort of thing to ruin my time at the oasis of my life. Why am I telling you this story? Because I hope you’ll do the same when you encounter such behavior. If we all firmly but politely insist on better behavior from our fellow humans it’s much more likely that we’ll get it. If enough people tell the singer to stop singing eventually the message will penetrate the skull and the world will be better for it. I just spotted a story from Good Morning America that blares out that a woman was recently released from prison after disputing the circumcision of her son. The headline in this case is actually not bad, it’s the story itself that is misleading. If you read the story they simply state that the son of Heather Hironimus was to be circumcised and that when she refused to allow it, she was put in prison. What actually happened was that Hironimus and the boy’s father have been in a dispute about the boy since before he was born. As part of that dispute Hironimus signed a parental agreement document that stated she agreed to have him circumcised. She later refused to honor that signed statement. The boy’s father, Dennis Nebus, then asked the courts to enforce her agreement, which they did. At that point she didn’t show up for the procedure and was found guilty of violating the court order and thus put into prison. So while the headline was actually not bad the fact that the person who wrote the story left out absolutely vital information means it, sort of, fits into my misleading headline category!